On July 10, 2011, we traveled across the Bosphorus to get to the Black Sea on the Asian side of Turkey. We traveled by bus with several students from Fisheries High school to the town of Riva and a beach nearby. Along the way, we had a chance to see how popular the beaches are with the people of Istanbul. The town and road leading to the town were packed with cars all waiting in line to get to the beach on a Sunday afternoon. When we arrived at the beach, we met with seven other students from a private high school and the University of Istanbul to complete the beach collection and one meter transect phase. Our team demonstrated the protocol and provided intensive instruction and practical experience for the Turkish students. We showed a power point with English and Turkish translations as well as went through the protocol in a large group and in small groups. After the beach phase, we moved to the one meter transect, and again, provided instruction and practical experience. As a result of the local environment, it was necessary to do both the Sandy Beach and the Rocky Shores Protocols. The collection went perfectly. The students were all able to understand and complete the protocol. 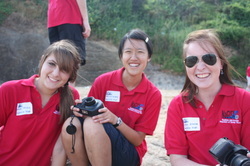 On July 11, 2011, we split into two groups: Beach Analysis and Dive Collection. The divers went back to the beach to finish their collection, and the beach and 1 meter people went back to the Fisheries High School to start the analysis procedure on the samples from the previous day’s collection. The analysis was successful; however, it was made particularly challenging due to the age of the Fisheries High School’s microscopes. We did classify the organisms down to the proper class. The dive portion was also challenging. Due to a failure in communication, it was not made clear how important it was to conduct dive operations from the rented boat. The dive master and his assistant had planned to do the collection by a shore dive. This would have been difficult for the five meter depth and impossible for the ten and fifteen meter depths. After consultation, a solution was reached. All the equipment and people were rowed out to the boat in a small zodiac boat. This required a great many trips and great skill on the part of the Turkish lifeguard doing the rowing. Once everyone was on board the boat, it was quite clear that the boat was a little small for dive operations. At this point there was no other option but to do the best possible. The dive master and his assistant performed Herculean tasks to get all the gear assembled and ready. Once this was accomplished, the divers performed the dive protocol starting at fifteen meters. The collection portion of the dive at this depth and later at the other two depths was tremendous. All five quadrates were performed correctly and the samples were recovered. At the five meter depth, the rocky shores protocol was necessary. At the other depths they used the Sandy Beach protocol. One interesting point…we were told that almost no one dives in the Black Sea because there is not sufficient interest or infrastructure to support such activities. Consequently, our Niceville High School dive team can claim the fact that they are among elite company in that few have done what they have done! On July 12, 2011, we completed the last segment of the NaGISA Analysis. After a very successful dive, there was a wealth of specimens available to process and analyze. This time the Turkish students had a chance to become even more familiar with the procedures, and they did a great deal of processing, analyzing, and classifying the specimens. 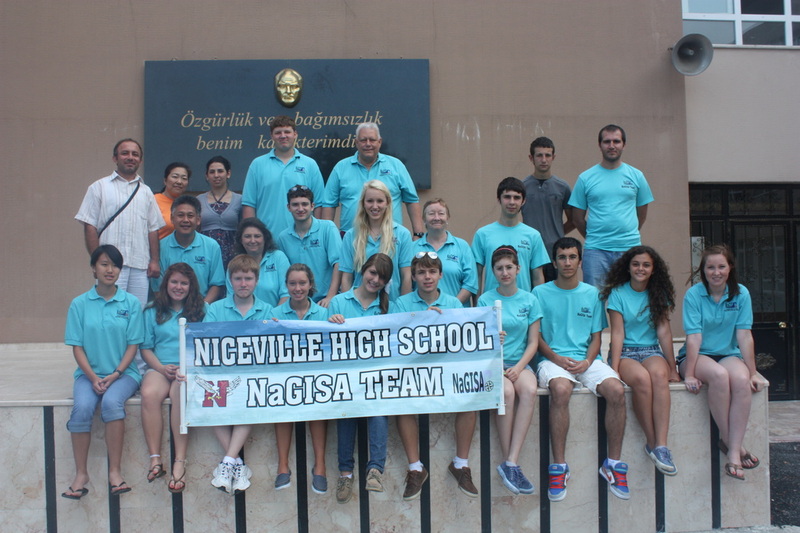 By this time the two teams, Niceville High School and the students from the two Turkish High Schools with the university participants, had bounded into a single cohesive and effective team. More samples were processed and analyzed than any collection ever at Niceville High School. This was a testimony to the efficiency of this combined team. As a result of this effort, there is every chance that a lasting effort to continue this collection site on the Black Sea may be pursued in the future. The American students and the Turkish Students exchanged contact information as well so they could continue their friendship across the big pond once the American students returned home to Florida.